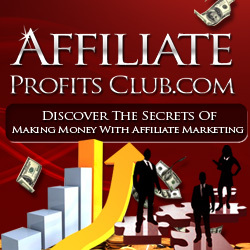 You are here: Home / Make Money Online / What is CPA Marketing? CPA is a type of marketing that is making a lot of waves online. That’s because the monetary rewards are very high, and it can take lot less work than other models of making money online! As a CPA marketer, your role will be to help get customer leads for companies. These companies are willing to pay 100%, 200%, 300% — and sometimes more for each lead — over the price the lead pays to accept the offer. Sometimes, the offers are completely free for the lead, so you make money right away, while the company takes all the risk and hopes the lead eventually becomes a customer. The acronym CPA stands for cost per action. Your goal is to drive targeted people through your links in the hopes that they will participate in a free offer, trial offer, or some other offer as determined in advance by the company. Sometimes all people need to do is fill out something simple like their e-mail address or zip code. Zip code offers are particularly easy to convert because they are very low risk for the person filling it out! Other offers are more difficult, and require a few pages of information to be filled out. Of course, the more difficult the offer is (which means lower conversions) the more money you will likely get paid. Sometimes it seems like a dream if it is easy to convert the offer and you get quite a high payout! CPA offers can be found at CPA dedicated networks. These are similar to many affiliate networks you might have heard of, but they mostly focus on these cost per action offers. Do take note that it can be a little bit more difficult to get accepted into the CPA networks than it is to get accepted into something like ClickBank.com or CJ.com. That’s because they want people with a little more experience who can convert their offers. Still, even the newest of the new can get accepted into the CPA networks with the right strategies, which we will cover in this series. If you’ve been trying to make money online for a while, or even if you are an accomplished Internet marketer, CPA offers are the way to go these days. That’s because the offers are often high converting, and the companies who provide the offers are very willing to pay their marketers high commissions. Of course, it can be difficult to navigate this type of marketing if you have not done so before. That’s why it’s best to learn as much as possible so you can get started making money right away. That’s the good thing about CPA marketing — you really can make money the same day you start promoting an offer!